The Yot (or perhaps it's toY backwards?) 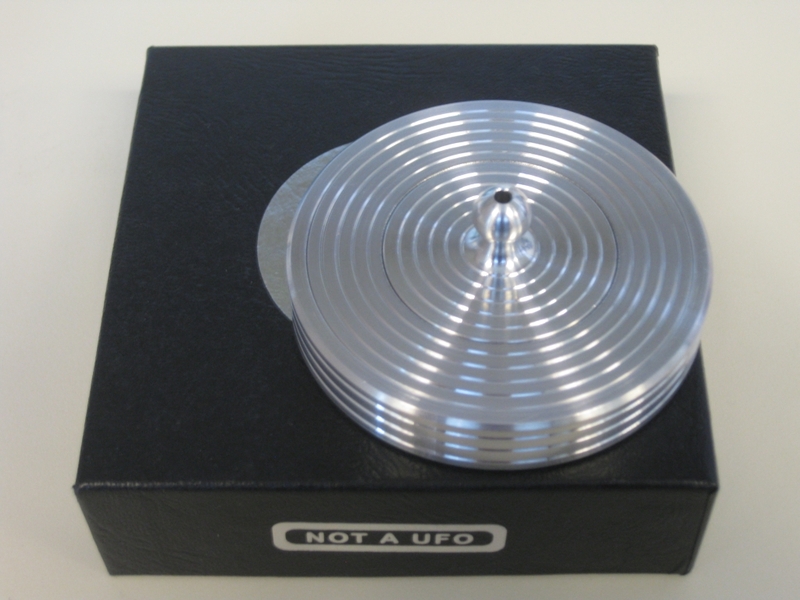 from Hi-Q Products is a puzzle which has intrigued me for quite some time now, but I've seemed to always have another puzzle that I wanted turn up and mean that I put off getting one. 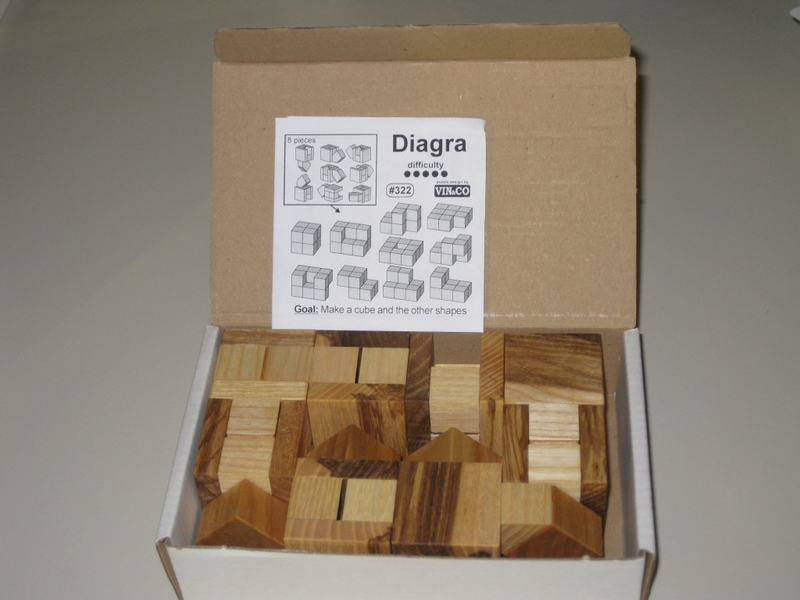 Well that's no longer the case, as my recent shipment from Puzzle Master included one of these fine puzzles. Note: Video now available in 720p HD. 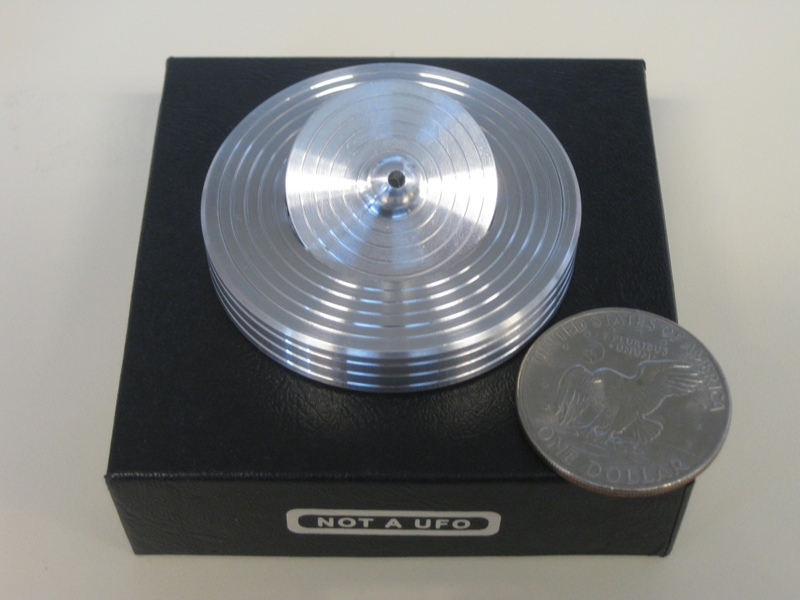 The Yot is a great looking puzzle, carved from a block of aluminium and measuring 2.75" in diameter with a silver dollar trapped inside. My Silver Dollar is from 1972 so is a little older than I am. As a non American, I wasn't in the USA when these coins were in regular circulation, so it's nice to have one, and what better way to keep it than inside a puzzle? The Yot has a really good weight in your hand and the little handle on the top is well shaped giving a very tactile feel to it. 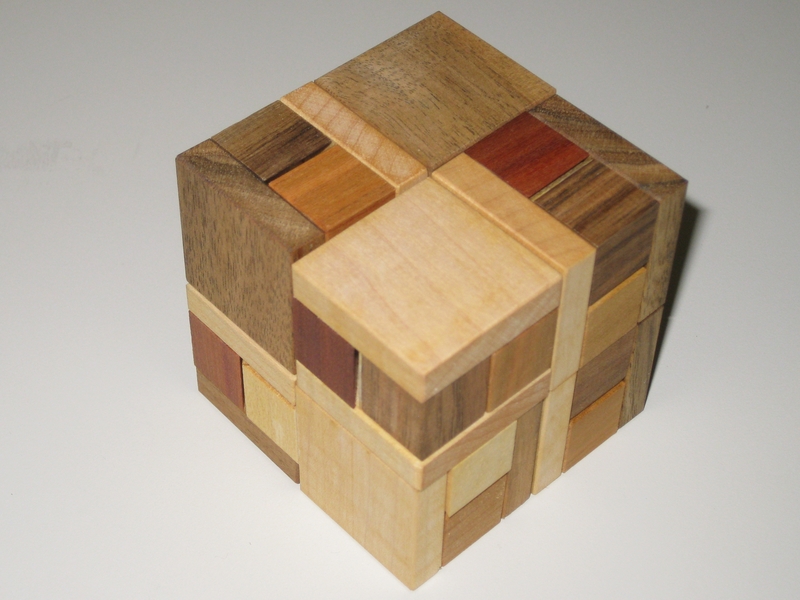 There is a hole in that nub in the top of the puzzle, which may lead you to thinking it's part of the solution. If anything I think it's there to prevent a vacuum from forming between the lid and the coin, but may help to disguise the real solution. The puzzle itself isn't terribly difficult to open, and I opened it within a few seconds of taking it out of the box for the first time. 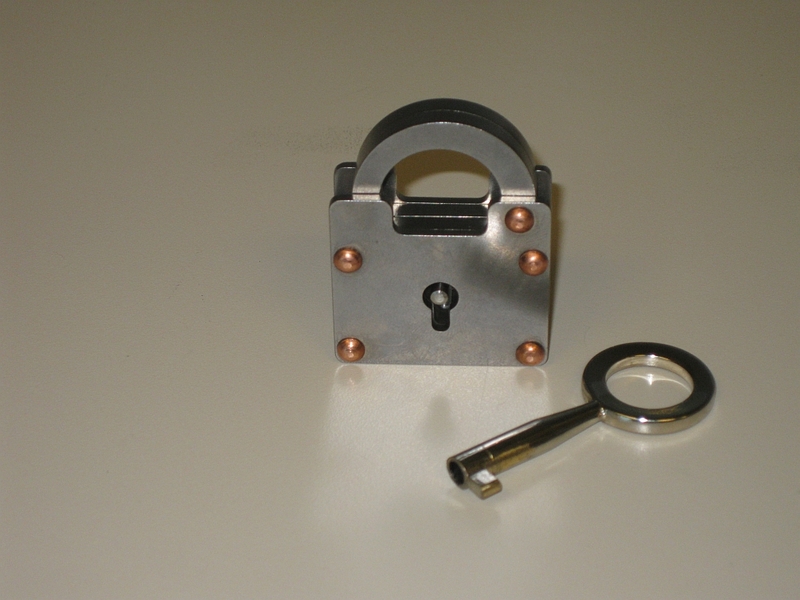 The solution is fairly common to a number of puzzles, and really given the shape is one of only a few possibilities that could be hidden in such a small puzzle. Now if you're reading this, you're probably thinking, why would I spend nearly $40 on a puzzle that I'll open so quickly? 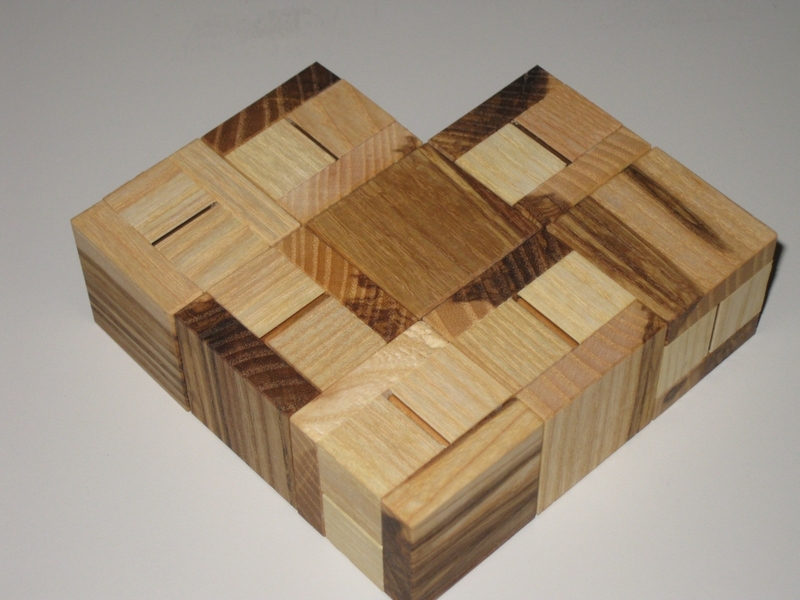 Well first off, it's a very high quality puzzle that is well made, and very precisely machined, so from that aspect, it's worth the price tag. 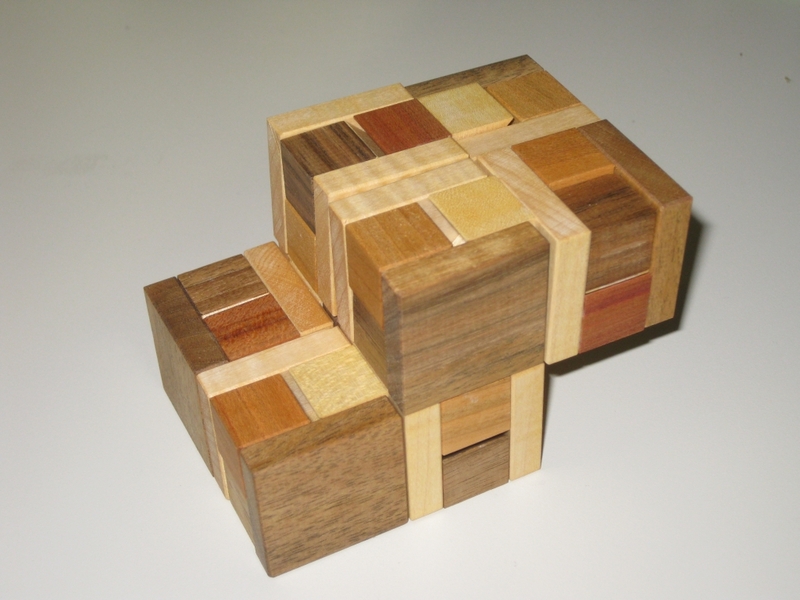 Perhaps the real reason is that given how well made the puzzle is; the simple mechanism, works repeatedly without fail. 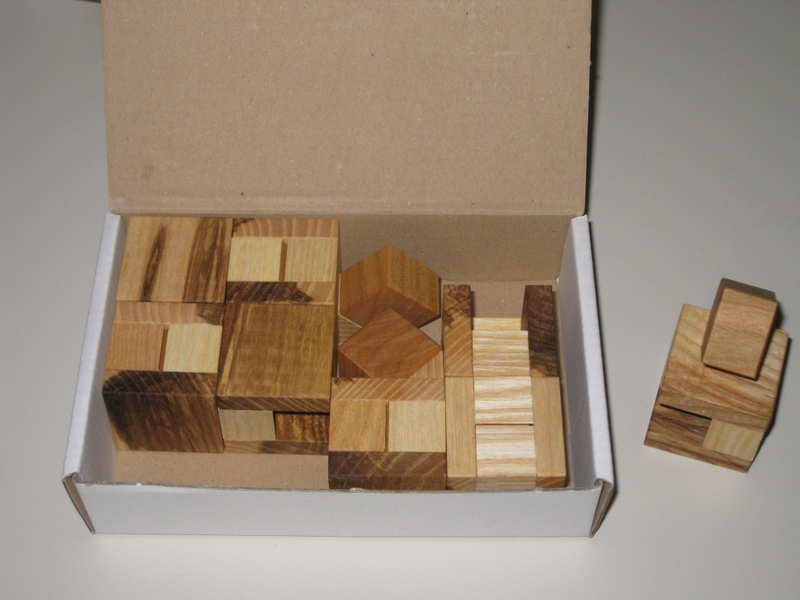 Even the box it comes in, while simple, is still well finished and adds to the quality feel you get from the puzzle. The only caveat to that is the badly over photocopied piece of paper in the top of the box giving you info about the puzzle. The Yot opened, and no this picture won't help you solve it. The real fun with the Yot is being able to open it in front of one of your friends, showing them that all you need to do is lift the top straight off, then closing the puzzle and handing it to them, and watch them struggle to open it. It does take a little practice to be able to perform the trick that is required to opening it without your audience seeing what you have done, but once you can, the look on their faces is priceless. 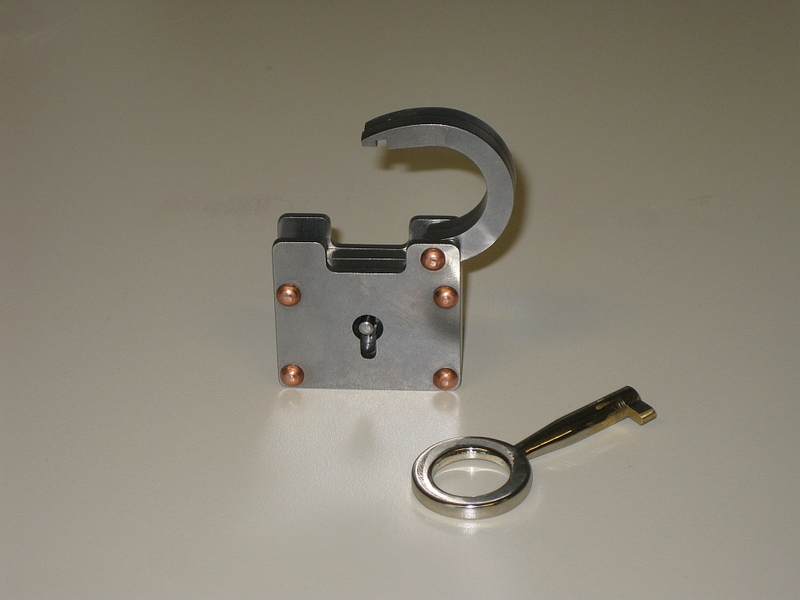 Even better, you can hand them it in the solved state, so they can take the top off, and almost invariably, they open it, re-close it then turn it over with a smile of their face, then fail to re-open it when they turn it back around, which just leaves them more puzzled than they were to start with. As a nice touch, it's possible to remove the coin from the Yot, and close it back up. 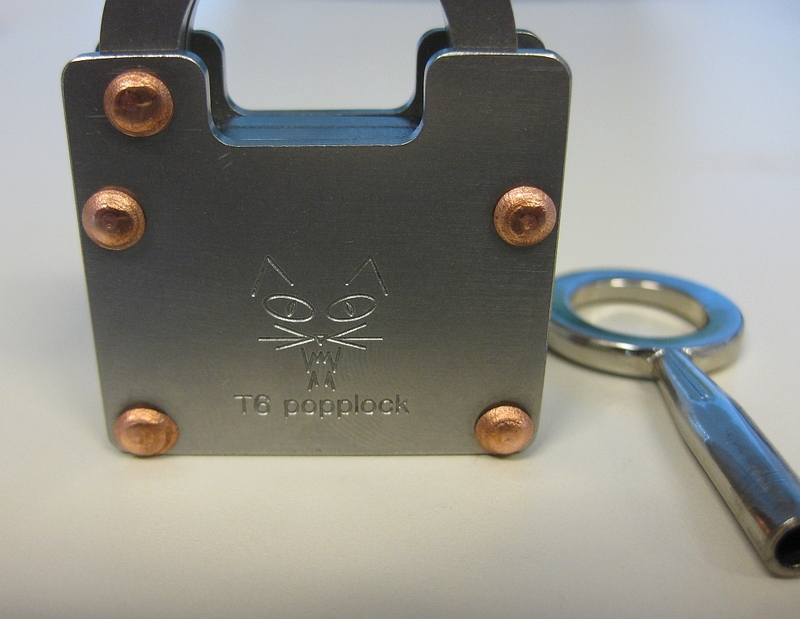 Now the base of the removable top is visible, however the mechanism and any clue as to how the puzzle works is still hidden, so you could even pass it out like this to show that there's nothing tricky about the coin. A nice touch and a good piece of design to boot. 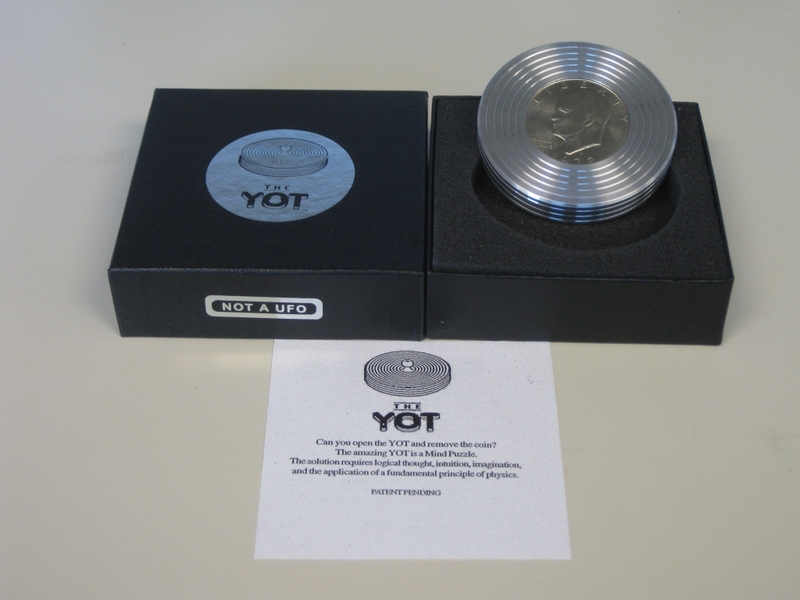 The Yot is also available in a collectors edition from yot.com directly where the body is 18k gold, and has an antique silver dollar trapped inside. While it's a lot more expensive than the basic version, it's a nice touch and if you're a collector it may be worth looking at. I'll be honest, without the puzzle being a little more challenging I doubt I'd consider getting the collectors version, but if you've won the lottery, then why not. Editors note: Given the price of gold today, and the solid silver dollar contained within, this may even be an investment. The Yot II has a different solution to the original, so I may have to pick one up and see how much different it is. It's in a larger package, so clearly there's more room in there for an additional mechanism. If you need a few hints as to how to open the puzzle, then you can go to the Yot's website, and they have a few clues there. It's not a full solution, but really you shouldn't need it. 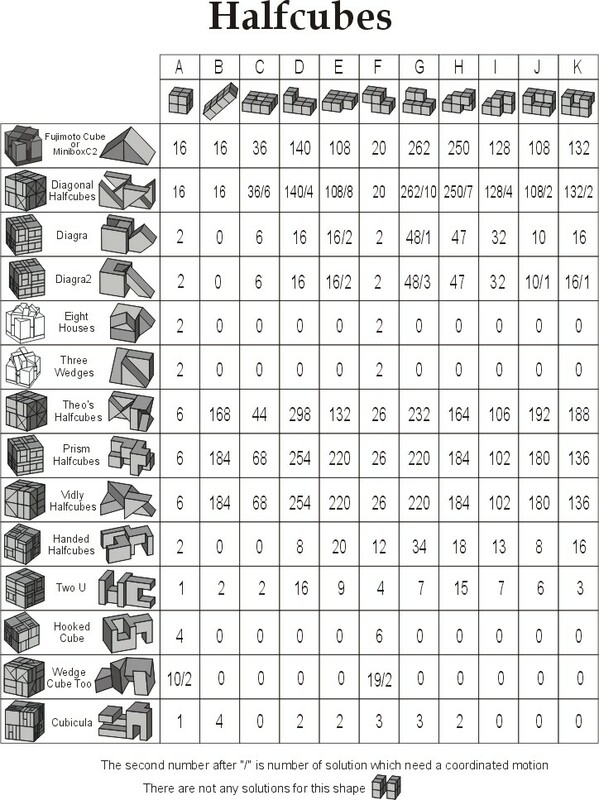 There are a number of other puzzlers out there have already reviewed the Yot, so have a look at Brian's review or Oli's. Jerry also has written about the Yot and the Yot II, so there's no shortage of thoughts on this puzzle. Overall, I'd say if you're an experienced puzzler, you're not going to have a problem in opening this very quickly, but opening the puzzle in front of someone then watching their face as they fail to open it by doing "the same thing you just did" is priceless. 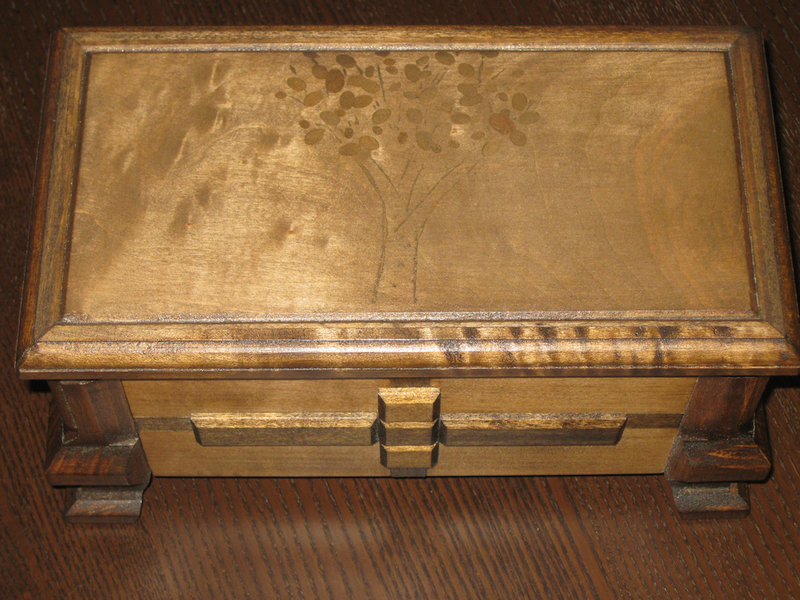 A fun puzzle, a great coffee table item, plus a nice way to store your silver dollar. If you don't have one, it's a nice addition to a collection, and would make a very nice gift. 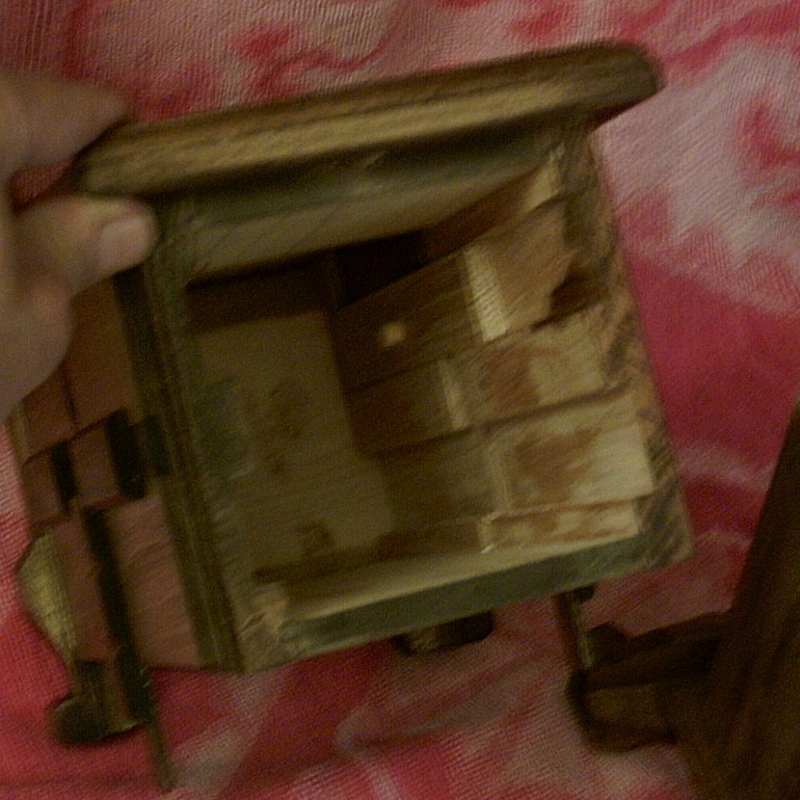 Some time ago I wrote about the Stickman puzzle box I'd won on a Puzzle Paradise auction. Since then the puzzle has been on a bit of a journey, and as a result I felt it was time to revisit this puzzle. 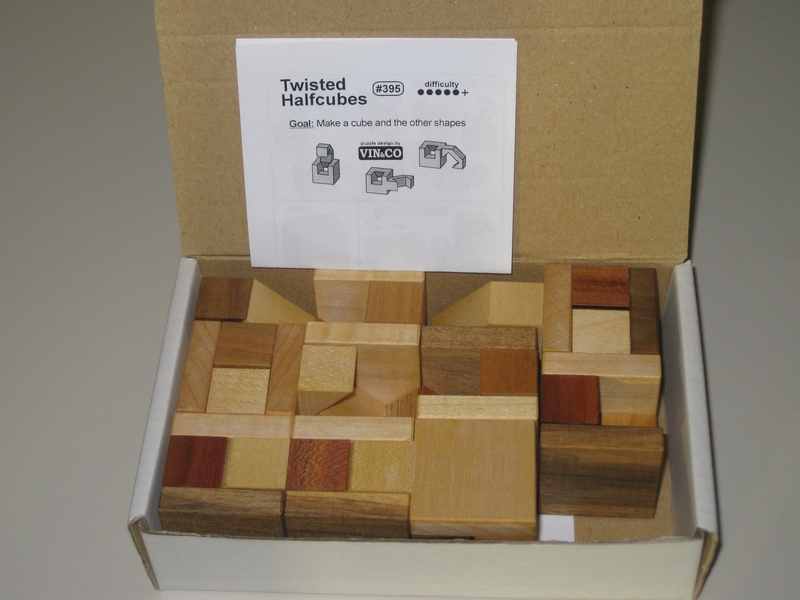 When I won the puzzle, I spent some time talking with its creator Robert Yarger, and he mentioned that it was a really solid puzzle, and he'd have no issues handing it round for people to try. Well with that in mind, I took it with me to the California Puzzle party. Unfortunately, when it was there, something went a bit wrong, and the puzzle jammed. I was able to shut the puzzle, but there was something very strange going on. Sadly, I had to put the puzzle back in my bag, and that meant no-one else was able to play with it that day. I wrote to Robert and described what was happening. He instantly offered to take the puzzle back and see if he could figure out what had happened, even mentioning that if he couldn't fix it, he'd find a way to make things right by me. (As a fellow puzzler has mentioned, nice bloke that Stick guy!) Interestingly, this was only the third Stickman puzzle that Robert has ever had to repair, and one of those was due to an accidental high dive from a shelf. Given the number of puzzles he's made, and some of the incredibly intricate work he does, that's a pretty good recommendation of his work. So I packed the box up, and sent it off. A few days later Robert got in touch to tell me that he had found the problem and would be able to fix it. Before I knew what was happening, Robert had the box all back together and it was back in the mail to me. 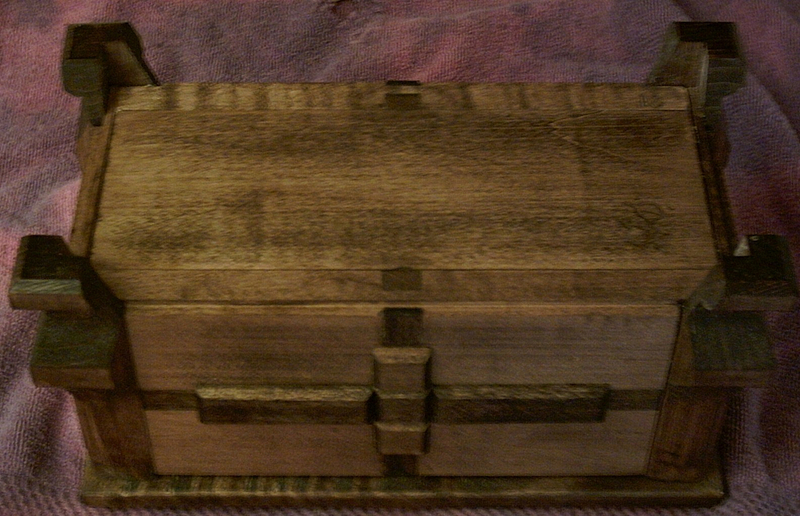 While Robert had the box, he did a little restoration on the top. As you may remember, there was a scratch on the top of the box from the original creation. Robert mentioned that it was common on his early work. 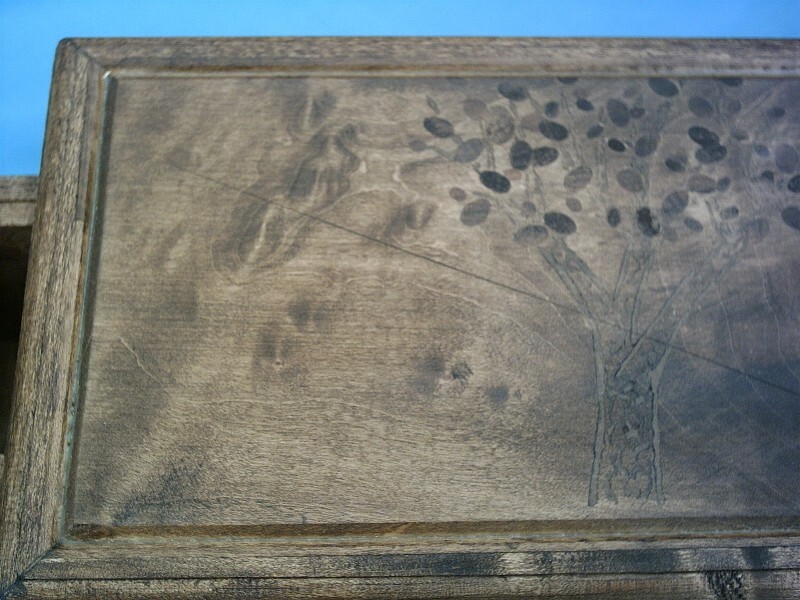 Seems like he wasn't too happy about that scratch being there as he sanded the box down to remove it, then refinished the box, so now it's even better than new. 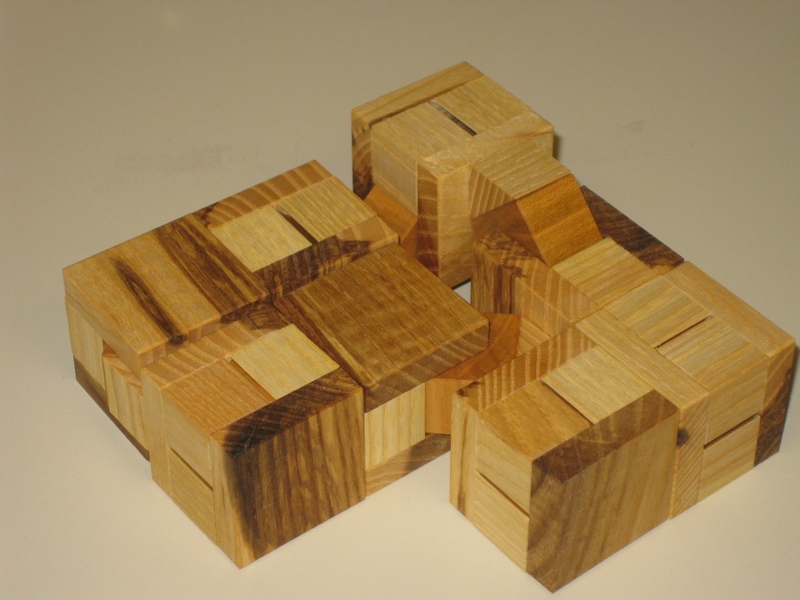 It turns out that what had happened is that on one side of the puzzle, the internal stops had broken and was now free floating inside the puzzle. 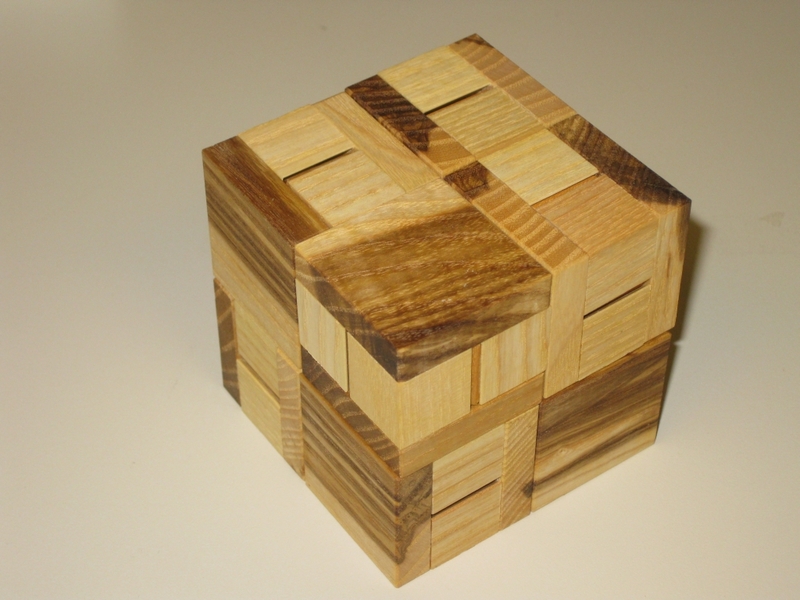 For a 10 year old puzzle, it wasn't anything anyone using the puzzle had done, but just a case of old age. 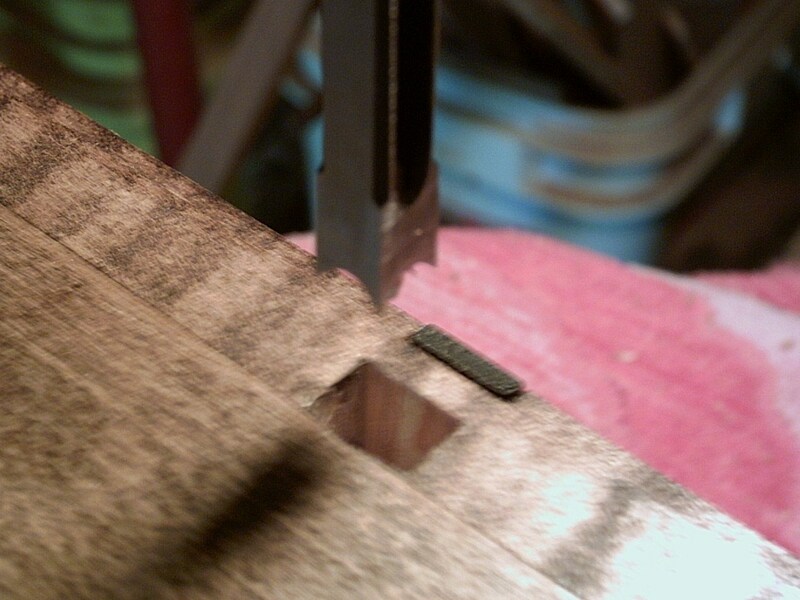 To fix things, the part which came free has now been replaced and a much deeper groove cut into the side to embed things firmly. No chance of that coming free again. Here's just a few pictures from Robert's surgery. These don't give anything away. I've kept the pictures of the internals for myself. Thanks have to go out to Robert though for sending me the pictures. He certainly didn't need to show what goes on inside his puzzle!